HomeWhat are the dangers of multitasking? 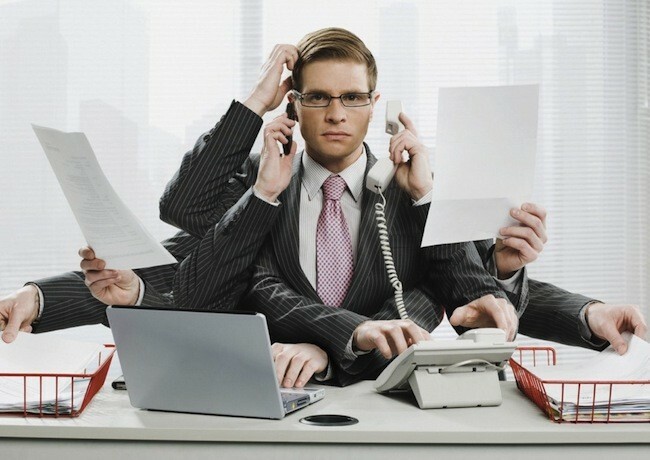 I don’t know about investment banking but multitasking is a sure fire way to fail in personal and professional life. It is the biggest enemy to productivity. A typical person’s daily schedule goes in this way: gets up early in the morning, opens smartphone, turns on mobile data or WiFi, repeatedly refreshes Gmail, Whatsapp and Facebook to see if anyone has messaged at midnight. If there are no updates available(this is the most likely case) they start browsing random Facebook posts and simultaneously brush their teeth. After successful completion of brushing and bathing, then starts breakfast plus music or the most popular combination of breakfast plus television. What actually happens is that the person neither enjoys his delicious food nor the show in TV, he/she just ponders over what to do in the office. The truth is “it is not possible for a human to multitask.“ When someone says he/she is doing “N” number of things at a time, that person may likely be not doing any task( even with 10% concentration ) or that person is lying. If there are roughly 10 tasks per day for a person, trust me, only 3 of them are really important and other 7 are either unimportant or nothing happens if they are not done. One simple solution that has worked like magic for me is to do just one task at a time. Just work on the most important task with pure focus and with no distractions of any form until that important task gets completed. Continue that process for other tasks in decreasing priority. By the time the top 10% tasks get over you will realize that 90% of your work gets completed. I can promise you that you will be far more satisfied with your work and twice efficient. Most importantly you will be a lot less stressful. So from next time discipline yourself to stick to the most important task and subtract all other distractions, enjoy and relish working on it with mindfulness, don’t get up from your chair until it is completed and save yourself at least 2 to 3 precious hours per day !! ← What is the right balance between Emotion and Reason? Good one Ravi… Multitasking depends on a person’s caliber. It does not have to be a compulsory trait (Almost all of my class mates used it as their forte’ in their resume). If a person is capable of doing more than one task simultaneously, then he can to do so and if he is not, then just as you said he should be taking up one task at a time. The problem arises when the incapable guy tries to multitask. As you said, he’ll wind up doing nothing. It would be a waste of his time and energy..